BGC people, rejoice! 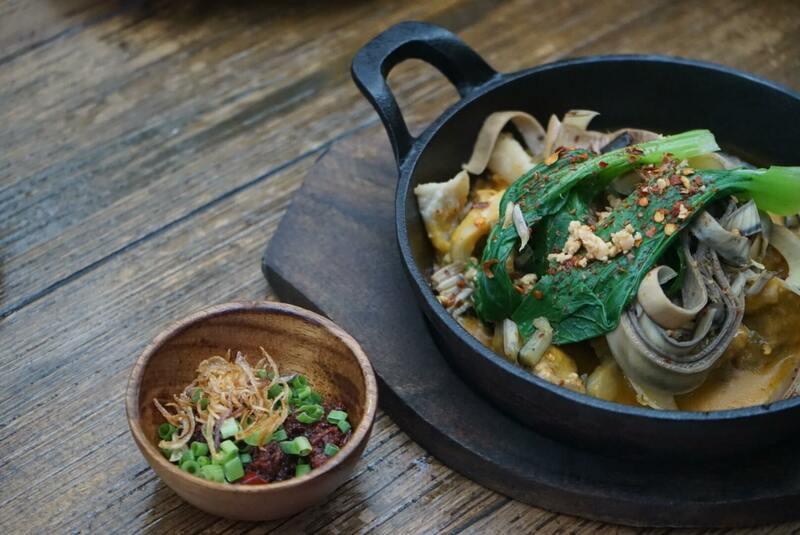 A new restaurant in the heart of BGC’s CBD is set to fill your tummies with the best Asian eats at Pink Panda Asian Diner. Located at the old spot of Crisp on the 28th, Pink Panda Asian Diner is a fast-casual restaurant by Chef Peter Ayson and Erwan Heussaff. Offering a wide variety of regional flavours. 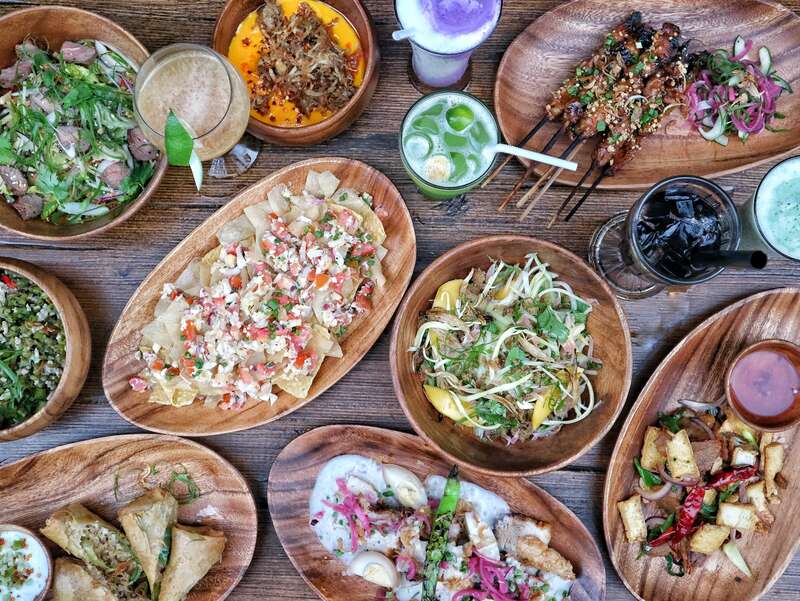 Pink Panda aims to bring to life the best of street food culture from Thailand, Vietnam, Singapore, Malaysia, Indonesia, China, and of course, the Philippines. 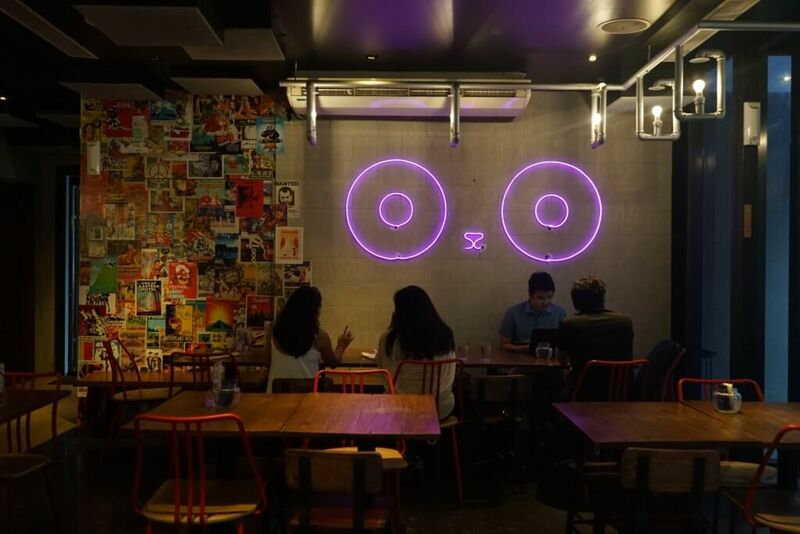 Wrapped around a casual, industrial atmosphere with Asian Elements, the ambiance in Pink Panda BGC is a feast for the eyes in itself. Filled with beautiful art murals in every corner, this modern diner is the perfect chill spot for lunch breaks, after office drinks, and even weekend family eats. Our 16-dish feast began with 6 delicious starters: the Adobo Nachos (Php 220), Dynamite Spring Roll (Php 160), Mom’s Sisig (Php 280), Tokwa’t Baboy (Php 180), Mango and Catfish Salad (Php 225), and Thai Beef Salad (Php 320). And since we’re both fans of cheese, naturally our favorite had to be their Adobo Nachos. 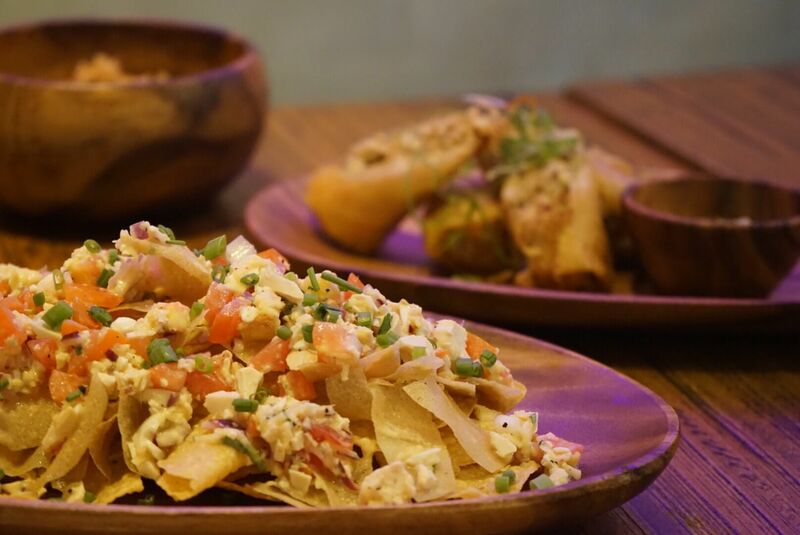 As with every dish they serve, Pink Panda infused flavors to their Adobo Nachos that perfectly suited our Filipino taste. With a colorful mix of mangoes, tomatoes, and salted eggs as toppings, the Adobo Nachos came with a big bowl of liquid cheese dip with crispy Adobo flakes on the side. It was so good, we kept a whole order to ourselves. Oops! Just as what we had for appetizers, Pink Panda’s mains were just as diversed. We had the White Pork Adobo (Php 340), Chicken Samba (Php 340), Grilled Chicken Sate, Grilled Tuna Belly (Php 420), Gising-Gising (Php 220), Sizzling Kare-Kare (Php 360), and Turmeric Rice. Everything was honestly good but our favorites were the Sizzling Kare-Kare because of its tender meat and its thick Peanut-filled sauce and the Chicken Sate because of its smoky, savory flavor. At this point, we were full already full to the brim and thought we couldn’t take any more food in. But because of the eager persuasion of our friend Kevin from Eatsasmallworld, we just had to oblige. And that actually proved to be a great decision. Pink Panda’s meal enders were just amazing! 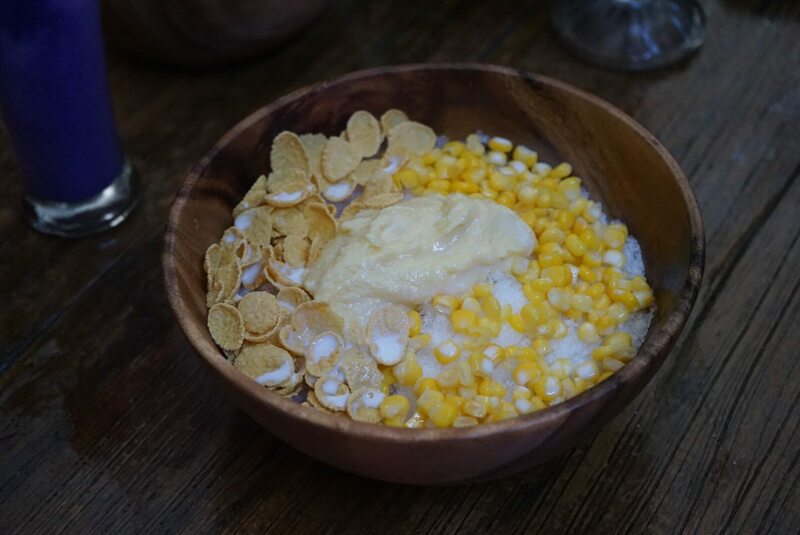 We were served three sweet treats: Turon with creamy Queso Ice Cream (Php 120), Chocolate Buchi (Php 120), and The Mais Con Leche (Php 160 – Our FAVORITE). 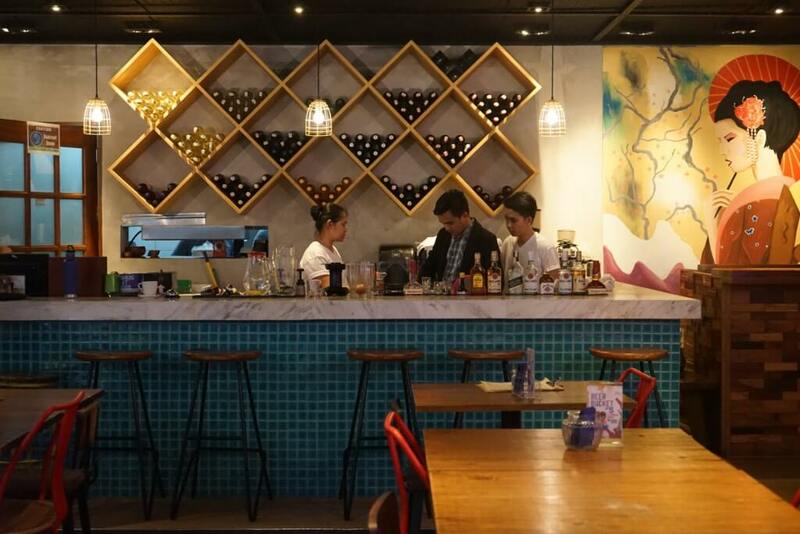 Overall, our dining experience at Pink Panda was a delightful one and we think it’s a great addition to the ever-growing, ever-evolving food scene of BGC. Been here? Comment down your favorites!